Discover the Pyrenean secret of Andorra. 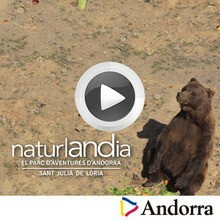 Andorra has so much to offer to make your summer vacation or getaway one you will cherish for a lifetime. You will discover the natural beauty, culture, history, shopping, food and gastronomy, relaxation and family fun that awaits you in Andorra.